Numerous data breaches have hit gaming networks and publishers over the past few years. You’re probably aware of the PlayStation Network’s problems Think Twice about Buying a PlayStation: How Getting Hacked Made My PSN Content Useless Think Twice about Buying a PlayStation: How Getting Hacked Made My PSN Content Useless My story begins sometime around the American launch of the PlayStation 4. I hadn’t turned my PlayStation on for about a week having been bowled over in work - I needed a break. I’d bought... Read More , as well as the attacks that affected EA gamers and even GOG.com has had its share of account hijacks. 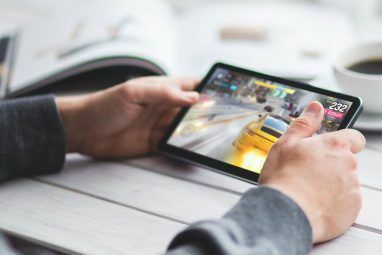 The fact is that when it comes to online games, attackers know that they can gain information about players, from personal data to banking information, and what standing and status those players (or their associated characters) have in the in-game world. No one is safe: a newbie might be targeted as someone who may have a lot of money to spend, whereas experienced gamers with vast collections of game credit and inventories might be targeted so that those items can be stolen and sold off. Protecting gamers from such attacks is naturally the responsibility of game developers and publishers, but a recent survey by gaming security company PlayFab has made some stunning findings. Wait, A “Gaming Security Company”? PlayFab provide services (such as monetization and analytics) for building MMO and other connected games, and tools for operating them, which means keeping track of what players are doing and customizing the game around their activities, using targeting techniques. Part of this involves keeping the player data secure Five Ways To Ensure Your Personal Data Remains Secure Five Ways To Ensure Your Personal Data Remains Secure Your data is you. Whether it is a collection of photographs you took, images you developed, reports you wrote, stories you thought up or music you collected or composed, it tells a story. Protect it. Read More . PlayFab’s survey reveals even more surprising results. For instance, one figure indicates that 70% of respondents were unaware of any game company security breach. 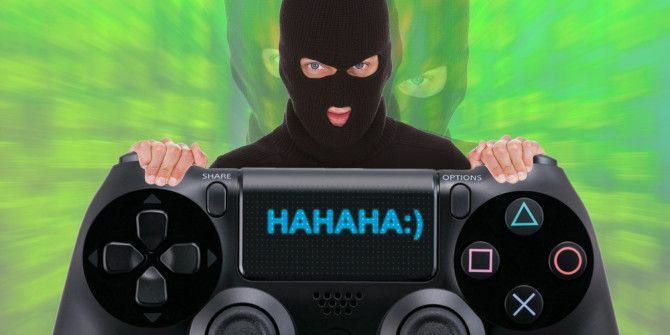 Given the long list of online gaming breaches Why Gaming Network Hacks Prove The Need for Two Factor Authentication Why Gaming Network Hacks Prove The Need for Two Factor Authentication Can I have a hacker breaking into PSN/XBL/Steam/all three? usual Matrix-style code thing, but with the logos in the background, perhaps? Read More over the past few years, this is a huge surprise, one that can surely only be down to game developers and publishers failing to impress the importance and impact of such breaches. Shouldn’t Game Developers Take Security More Seriously? As an online security commentator, it is my firm belief that any company that is requiring business from you (whether you’re paying with cash, personal data, or both) has a contractual duty to treat your data with the utmost respect. This means keeping data secure, and dealing with breaches responsibly and openly. It seems, however, that this viewpoint is not shared by the developers. PlayFab’s survey reveals that because gamers value gameplay experiences and the cost of being a part of that experience above all else, security is given a back seat. Data security is taking a back seat, it would seem, to profit and ease. While we’re sure this isn’t the case with every game developer or gaming network, there is considerable evidence to suggest that the gaming industry – particularly where online gaming on consoles, desktops and mobiles is concerned – needs to take steps to deal with online security issues. However, we can go further. MakeUseOf.com offers three more steps to improve your game security. Use games that accept two-factor authentication What Is Two-Factor Authentication, And Why You Should Use It What Is Two-Factor Authentication, And Why You Should Use It Two-factor authentication (2FA) is a security method that requires two different ways of proving your identity. It is commonly used in everyday life. For example paying with a credit card not only requires the card,... Read More for signing into the game client. 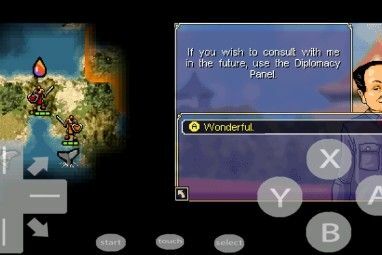 Avoid ad-supported games on smartphones and tablets. 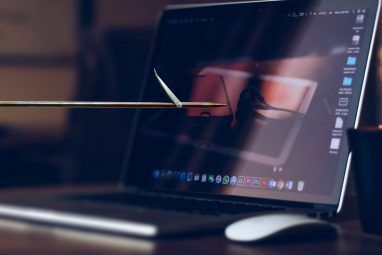 If available, pay for the upgraded, ad-free version, to avoid advert malware Meet Kyle And Stan, A New Malvertising Nightmare Meet Kyle And Stan, A New Malvertising Nightmare Read More (“malvertising”) infecting your system and stealing your game login details. Resist the temptation to buy and download “cheats” from grind automation to anything claiming you can gain game cash for little effort. These are scams, and will more often than not result in your account being banned. Assuming you haven’t already had your game inventory and real-world bank account or credit card emptied first. Have you been hit by an online gaming security failure? Surprised by the lack of security offered by online gaming giants? Tell us in the comments. Explore more about: Mobile Gaming, Multiplayer Games, Online Security.